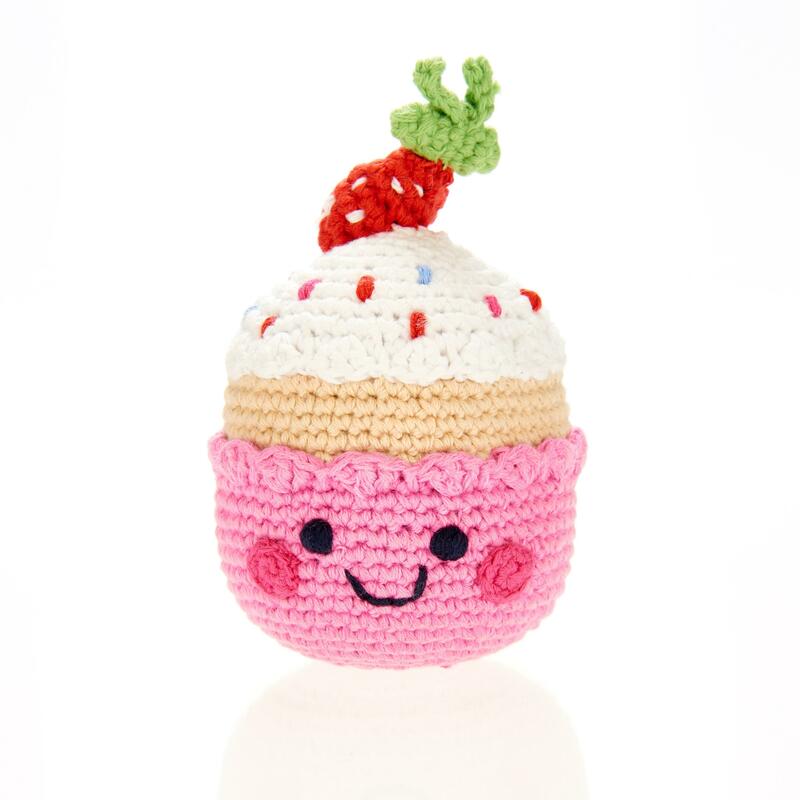 Part of our Friendly Food range this gorgeous pink cupcake looks almost good enough to eat with a strawberry on top. Ideal as a baby rattle but also fantastic as your baby grows and develops imaginative play. Hand crochet from 100% cotton yarn, machine washable and suitable from birth. Fair Trade.